The captioning team needs an MP4 video file to close caption. 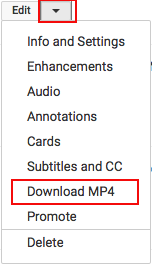 If you don’t have the MP4 anymore but have the video on YouTube, you can download the MP4 file. 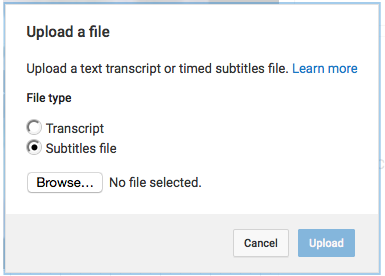 Give the MP4 to the closed captioning team by contacting Carolyn Dorr. 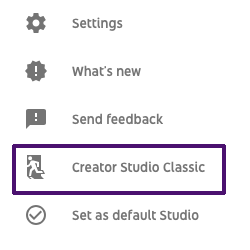 Currently we are having people use a shared Google Drive to give us the MP4s. We take the MP4 and close caption it in our software, which generates a file called .srt. 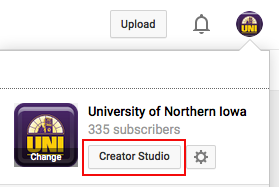 We give you the .srt file and you upload it to the corresponding YouTube video. 4. 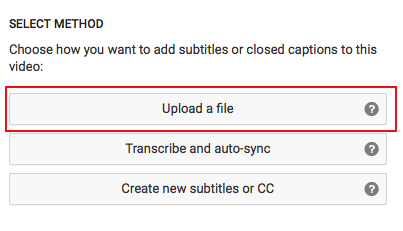 Click the Add new subtitles or CC button and choose English. 5. 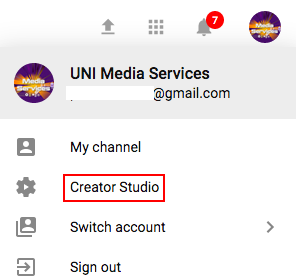 Choose Upload a file. 6. 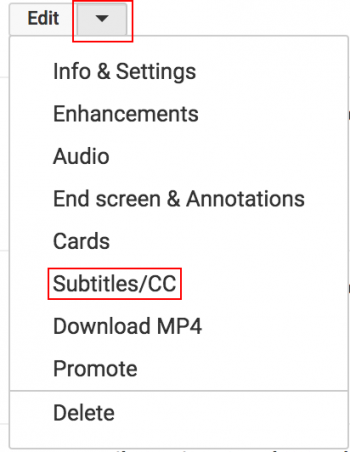 Choose Subtitles file. Browse for your SRT file, select it, open it, then choose the Upload button.